The National Aeronautics and Space Administration (NASA) recently held a successful preliminary design review for the Ares I rocket – NASA’s crew launch rocket scheduled to replace the aging space shuttle sometime in the next decade. Over 1,100 specialists reviewed the plans for the rocket design. Successful completion of the review allows each individual element of the rocket to move into a more detailed design process. 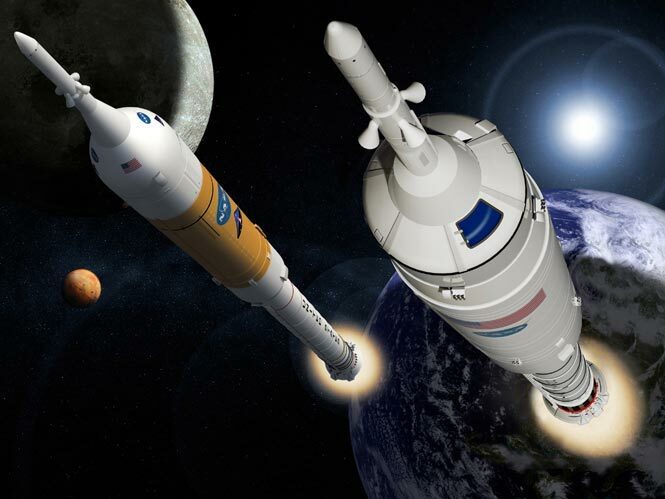 Reviewers represented seven NASA research centers and several industry partners slated to work on the Ares rocket and related programs. Separate reviews of the upper stage rocket, the first stage, and the upper stage were completed prior to this larger review tying together all of the components and examining the plans as a whole. The design review identified a potential issue with thrust oscillation vibration in the first stage of the rocket. Engineers recommended options to fix the problem and a follow-up review next summer will integrate those changes into the full design. A critical design review will follow after the detailed design is completed for each element. The first detailed design kickoff concentrates on the J-2X engine that will power the upper stage to orbit after separation from the first stage. The Ares I rocket pulls many of its design elements from the Space Shuttle and the Saturn rockets used in Apollo missions. Its first stage consists primarily of a solid fuel rocket based on the shuttle’s solid rocket booster while the J-2X engine used in the upper stage is based on the J-2 engine used in the Saturn IB and Saturn V rockets. The upper stage thruster system is also based on the Saturn rockets. The Ares I rocket is set for initial launch in 2015 as part of the Constellation program. Initial missions will lift the Orion crew exploration vehicle with its four to six crew members and cargo payloads to the International Space Station. Later lunar missions and eventual trips to Mars are planned. TFOT has reported on other rocket engine technologies and spacecraft including an antimatter engine using positrons for fuel, a new privately developed lunar lander, an experimental supersonic combustion ramjet or scramjet, and tests of a methane-powered rocket engine. You can read more about the test process in the official press release here. 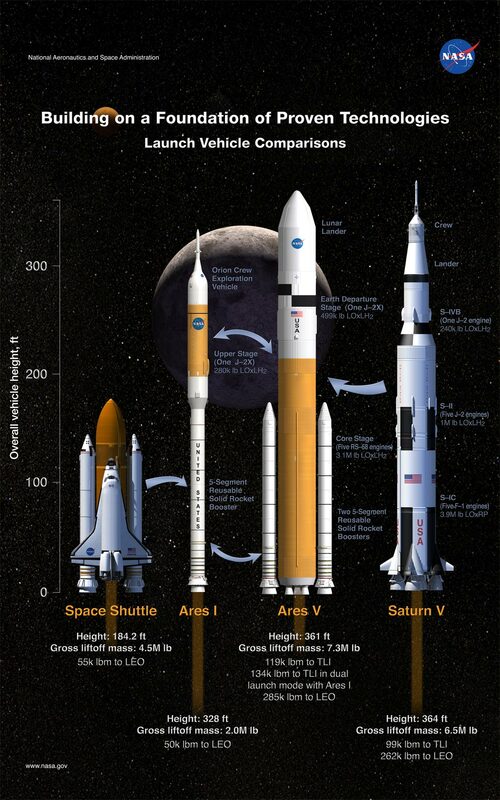 You can also find information on NASA’s Constellation program here and the Ares I rocket here.